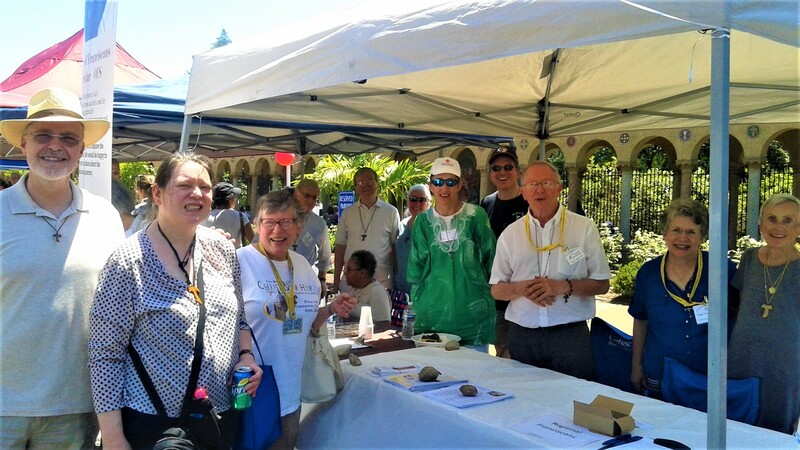 On July 14th, members of the St. Anthony of Nagasaki fraternity attended the Holy Land Festival at the Franciscan Monastery in Washington, DC. We met several other Secular Franciscans staffing tables representing the Mount St. Sepulchre fraternity as well as the St. Margaret of Cortona region. Besides sharing information about the Secular Franciscan Order they shared almond cookies (St. Francis’ favorite! ), coffee, and bottled water. It was a wonderful opportunity for food, fellowship, entertainment, and learning more about the peoples and cultures of the Holy Land. Thanks for representing SFOTony at the Festival! !